Club volunteers fulfil a variety of important roles to ensure the club runs smoothly. Our club is run by volunteers and it is the efforts of these members that make our club the happy, vibrant, positive thing it has become, however new ideas and new energy are vital to keep things moving forward. Volunteering roles can involve many different activities and you will be warmly welcomed and put to good use if you decide to get involved. What do Club Volunteers do? Club Volunteers do a multitude of different roles. You may want to take on a traditional role on the committee such as chair, secretary, treasurer etc.. or get involved in the day to day running of the club. • Desk – Signing in , money collection for kit hire. Ensure members sign up for paddles advertised on whiteboard. • Welcoming/Registration – welcoming temporary members, doing necessary paperwork and checks, liaison with coaches to place temporary members onto appropriate paddle. • Pizza – Thursday evening take numbers and order pizza/pay pizza delivery, supervise serving pizza and clearing away. Who should be a Club Volunteer? 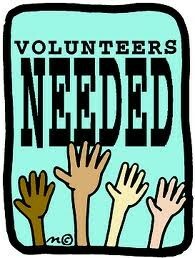 Anyone who wants to volunteer on a regular basis. Being a Club Volunteer is ideal for existing club members or parents/guardians who want to get more involved in the running of their child’s club. What skills are required to be a Club Volunteer? The skills required would vary from role to role. But your professional skills can also be applied to the club. For example if you work in Marketing/PR/Communications you could fulfil a Press Officer role at a club. If you are an engineer then maintaining club boats etc..etc. That said, your energy, time and passion are far more important than your skill set. Club volunteers help build a sustainable club by keeping everything running smoothly and making the club environment feel welcoming to new and current members. If you want to get involved in volunteering speak to a coach or a committee member to find out what opportunities are available. If you have a specific skill set let the club know, we may really need someone with your knowledge and experience.